The Clement Canopy site plan is designed around 2 main themes: a) a Living Breathing Home interwoven with nature, and b) maximum privacy and views. It has two 40 storey residential towers, oriented in a generally North-South direction, and staggered so that they do not face each other directly, but look out to surrounding views. In fact, south-facing units from the 25th to 40th floors will likely get sea views. To register for price updates or showflat viewing / VIP Preview, just email us below. 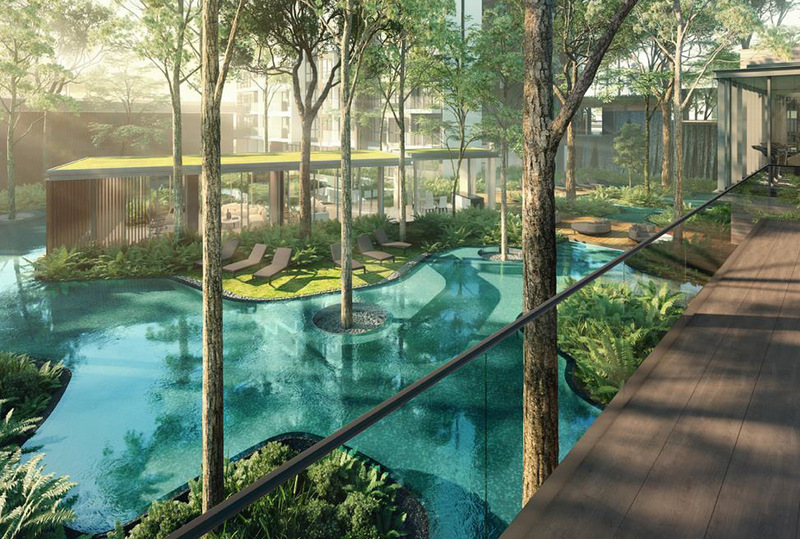 The site sketches out its “forest” theme with multi-layered decks, pools overlooking pools, pools running around trees & plants, pools around the lounges & pavilions, all swimmable. 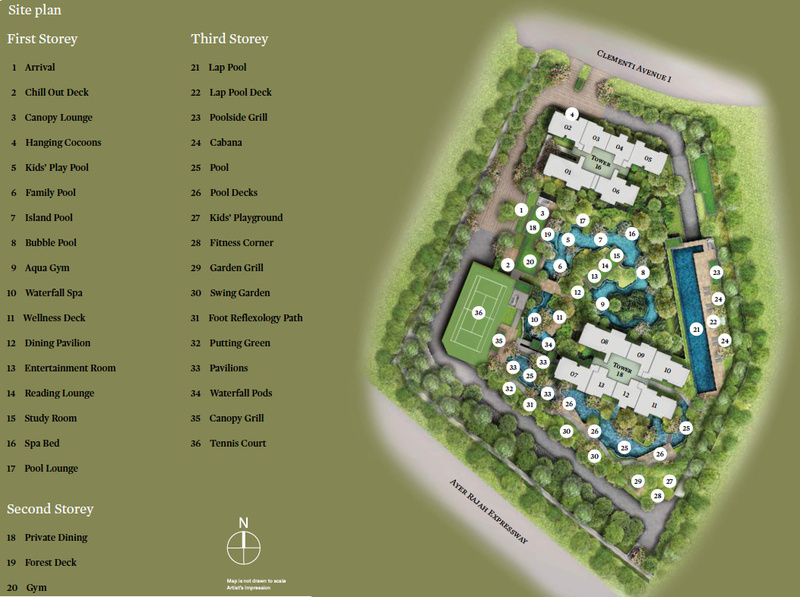 The Clement Canopy site plan layout is an intriguingly organic design, layered on different levels, with a waterfall and series of meandering pools. There are only 2 blocks, so much of the grounds has been given over to landscaping and facilities. The landscaping takes its inspiration from nature. Like walking through a lush green forest. Part of the canopy even rises above the architecture. The experience is immersive and fills the senses. UOL places a lot of emphasis on creating beautifully designed landscapes and facilities for their various projects. Which is one reason they are labelled “Masterpieces”. And it is what sets projects like these apart from the normal mass market condo. See the Developer Track Record or Location for related information.